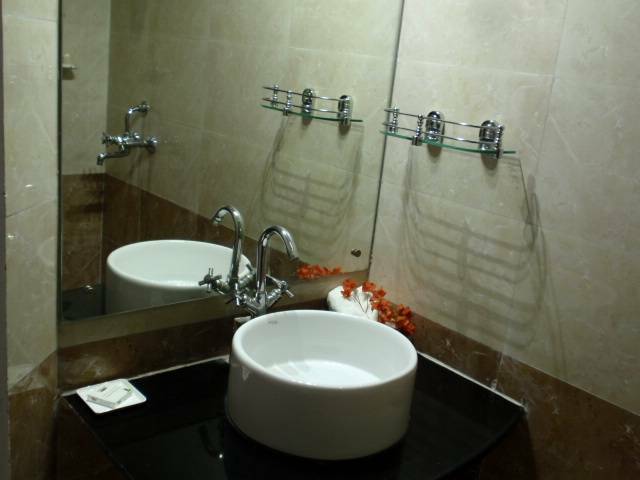 The Regent, a fully furnished Air Conditioned Guest House and Service Apartments in Greater Noida offering Five Star facilities for Corporate Clients at reasonable rates. Unique concept of Home away from home. 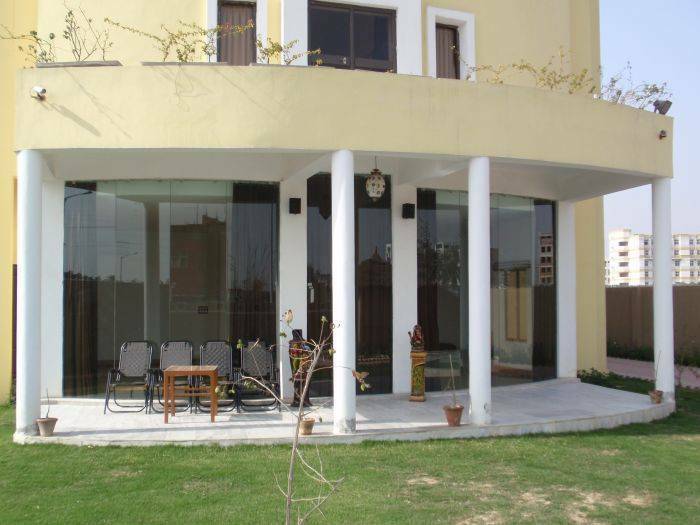 The Regent Comfort Homes are fully furnished Air Conditioned Guest Houses and Service Apartments in Greater Noida offering Five Star facilities for Corporate Clients at reasonable rates to include boarding, lodging, laundry service, TV in rooms, magazines and periodicals, leading daily newspapers, 24 hour attendant service and a host of other services available to a Five Star guest. 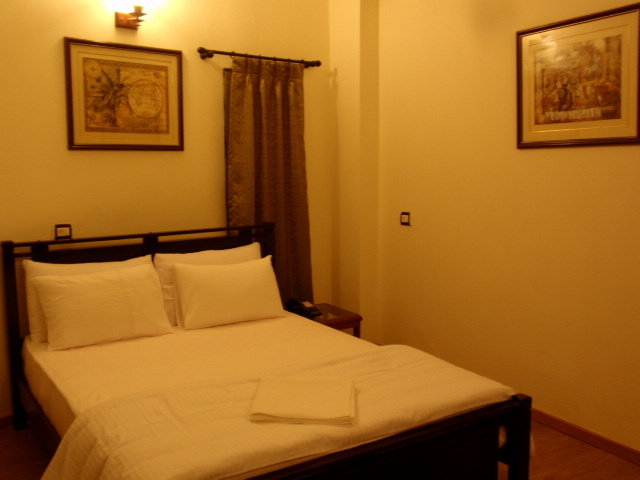 The guest houses have an attractive and spacious lounge and dining rooms. 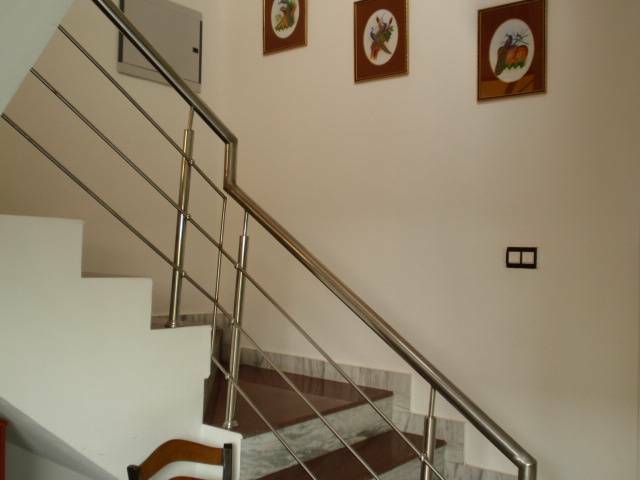 The guesthouse is absolutely safe with reliable night security arrangements. Each room has been tastefully done with effective air conditioning so that you do not have to suffer the Indian summers. State of the art fire detection and control system. 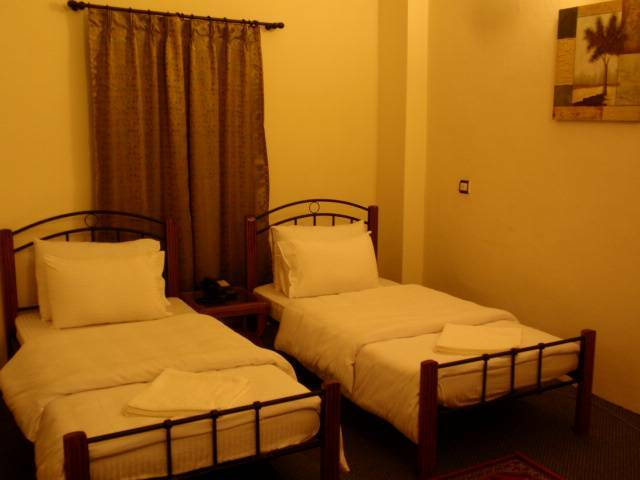 The guesthouse provides economical and feasible accommodation alternatives to Hotels. Well appointed and Fully equipped rooms with the latest conveniences, lavished with rich fabrics, beautiful marble floors and distinct furnishings, A/C, televisions (with full cable access), refrigerators, and High Speed Internet Connection (Broadband) and 24 hour power back up. 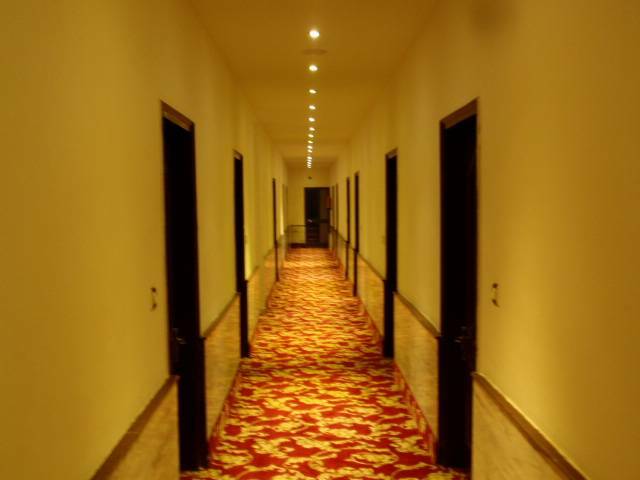 There is also a choice of sumptuous Indian or Continental Breakfasts in the privacy of your own room or outside. Well appomited and Fully equipped rooms with the latest conveniences, lavished with rich fabrics, beautiful marble floors and distinct furnishings, A/C, televisions (with full cable access), refrigerators, and High Speed Internet Connection (Broadband) and 24 hour power back up. There is also a choice of sumptuous Indian or Continental Breakfasts in the privacy of your own room or outside. Multi Cuisine restaurant, homely atmosphere. Full refund for cancellations done with more than one weeks notice prior to date of arrival/check out. 50% refund for cancellations done with less than one-weeks prior notice from the date of arrival/check out. No refund for failure to notify regarding cancellations or a no show.